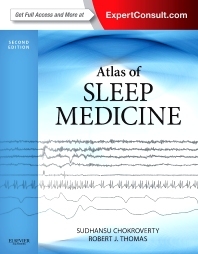 Effectively diagnose and manage adult and pediatric sleep disorders with help from Atlas of Sleep Medicine, the most comprehensive and detailed source of pictorial and video guidance available. A full-color design with an entirely new image collection and video segments facilitates the observation and interpretation of sleep-related events and recordings. Whether you are preparing for the sleep medicine fellowship examination, or simply want to offer your patients today's best care, this sleep medicine book is an ideal resource! Confidently treat sleep-related breathing disorders with a practical step-by-step approach to positive pressure titration, summarizing merits, demerits, dangers, and limitations. Observe, evaluate, and treat unusual, uncommon, and often unrecognized PSG patterns.